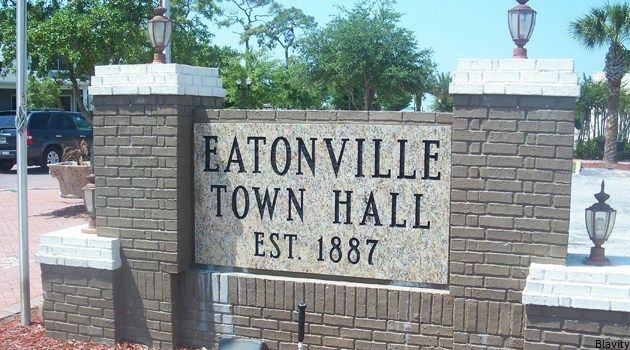 The first all-black city to be incorporated in Florida, Eatonville was established in 1887 after being settled two decades after the Civil War ended by former slaves. Located six miles north of Orlando, the town was first named Maitland and got its start when former slave, Joseph C. Clarke, along with northern philanthropist Lewis Lawrence, bought over a hundred acres of land from Josiah Eaton, one of the few white landowners willing to sell to African Americans. They then parceled the acres to black families from the surrounding area of central Florida. On the fifteenth of August, 1887, the town was officially incorporated when twenty-seven registered black voters indicated their intention to create a municipality. They named the town in honor of Josiah Eaton who eventually also served as its mayor. The new town’s citizens, however, chose Columbus H. Boger as its first mayor to head an entirely black-staffed government. The life of Eatonville, like other all-black towns and the black sections of mostly white communities, revolved around its church and its school. The St. Lawrence African Methodist Episcopal Church (A.M.E.), then simply called the Methodist Church, was the first religious institution in the city. The church received the first ten acres of land purchased by Clarke and Lawrence, and upon its founding in 1881 (predating the town by six years), it became the first African American church in the area. St. Lawrence A.M.E. still stands in Eatonville and continues to serve the community to this day. Along with St. Lawrence A.M.E., the town’s first post-primary school, the Hungerford Normal and Industrial School, was central to the town’s culture. The school, which was founded by Professor and Mrs. Russell C. Calhoun in 1889, sat on land that was donated in the memory of Dr. Robert Hungerford, a white doctor who had died while caring for sick African Americans. The Hungerford School, headed by Tuskegee Institute graduates, the Calhouns, was modeled on Tuskegee’s principles—teaching vocational, literacy, and life skills to African Americans in Central Florida. Eatonville is best known, however, for its most famous daughter, Zora Neale Hurston. Her preacher father, John Hurston, who would become the town’s mayor in 1897, had moved with his family to the town in 1894 when Zora was three. Although born in Notasulga, Alabama, she always considered Eatonville her home. Hurston’s experiences growing up in Eatonville, largely independent of white influences, would come to shape her writing style, and the town was featured in much of her works, notably the 1928 essay, “How it Feels to be Colored Me” and her 1937 novel, Their Eyes Were Watching God. In 1990 the town established the Zora Neale Hurston Museum of Fine Arts. Now Eatonville holds an annual Zora Festival, a nearly month-long celebration of the arts and humanities in January. The festival, which draws over a hundred thousand visitors to the small town, whose permanent population in 2010 was 2,159, has featured presentations from university professors, exhibitions of local artists, and performances by big-name musicians, including the Isley Brothers and Lyfe Jennings. In 2010 90 percent of the residents were African American, 7 percent were white, and the rest were Latino, Asian, and Native American. “Eatonville History,” https://eatonvillefl.wordpress.com/history/; “Town of Eatonville Website,” http://www.townofeatonville.org/about/; Damien Cave, “In a Town Apart: The Pride and Trials of Black Life,” New York Times, September 28, 2008, http://www.nytimes.com/2008/09/29/us/29florida.html; “The Zora Festival,” ; Tiffany Ruby Patterson, Zora Neale Hurston and the History of Southern Life (Philadelphia: Temple University Press, 2005).